It's no surprise that the fashion designer synonymous with haute couture was the recipient of the highest distinction—awarded by the city of Paris—for the preservation of the Parisian fashion reputation worldwide. Without a doubt, Karl Lagerfeld has been successful in bringing the same unapologetic energy Gabrielle Chanel had imparted to her namesake brand, makeing it the luxury house we know and love today. 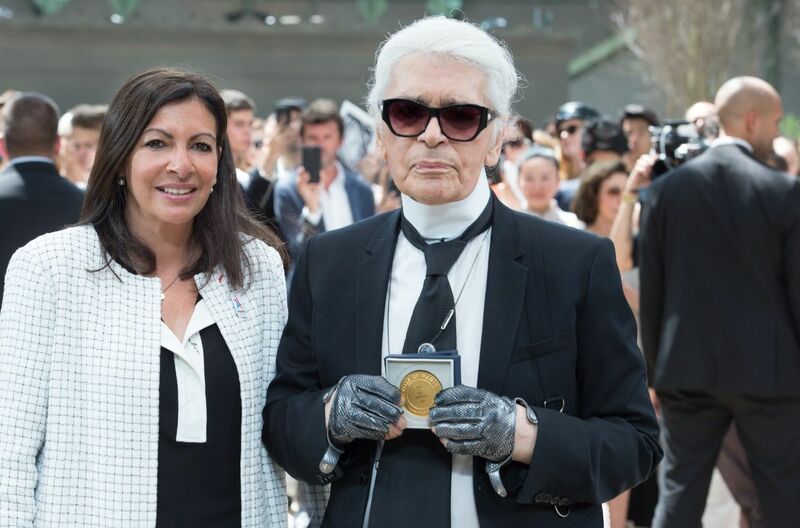 Lagerfeld was handed the Grand Vermeil de la Ville de Paris medal by Anne Hidalgo, the Mayor of Paris, when his autumn/winter 2017/2018 Haute Couture fashion show for Chanel wrapped up in Paris—under a replica Eiffel Tower built in the Grand Palais.